Never miss a post again! Sign up to receive all posts direct to your inbox. 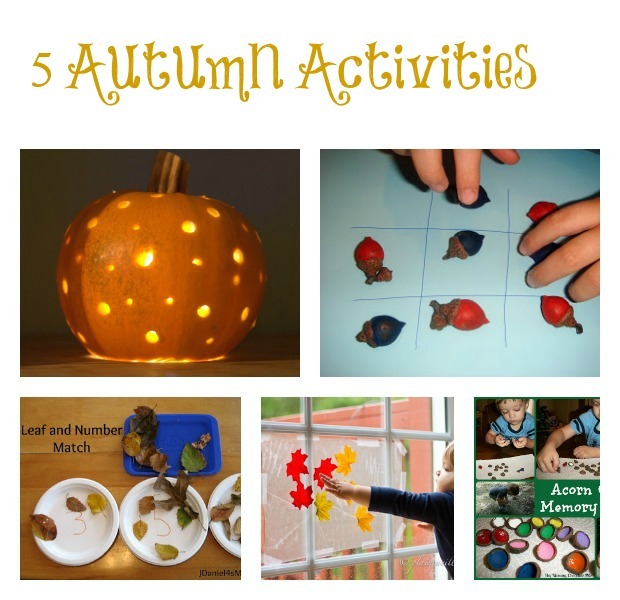 Thanks for featuring our Acorn activities! Fun! I love the pumpkin with holes. Love the look of the acorn game. Thank you for sharing my leaf counting activity. I hope you have a wonderful weekend! I really love the Montessori pumpkin carving idea! These is great idea. I am sure kids will enjoy it, especially the young artists who aren´t afraid to get their hands dirty. I loved playing with pine cones, concers or fallen leafs when I was a kid. And even now, as an adult I still love exploring. Autumn is such a perfect season for many different activities. So thank you for these ideas, I´m definitely looking forward to trying them on. And that Moonlight Chocolate Pudding looks very delicious.